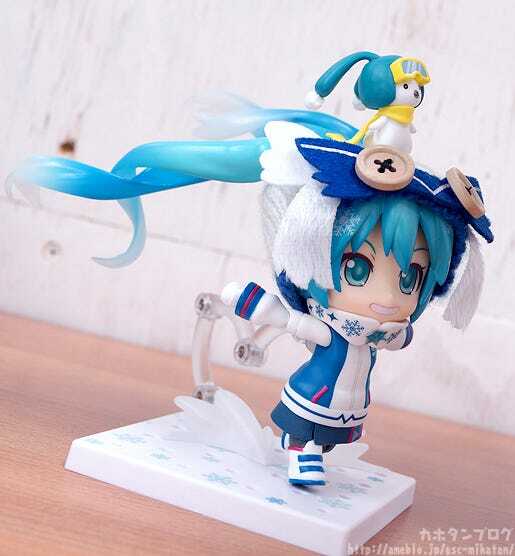 Kahotan's Blog | GOOD SMILE COMPANY Figure Reviews | Nendoroid and figma Snow Miku: Snow Owl Ver. I recently bought a new pair of office slippers! Though I really liked my last pair so it was quite a difficult change! Anyway! 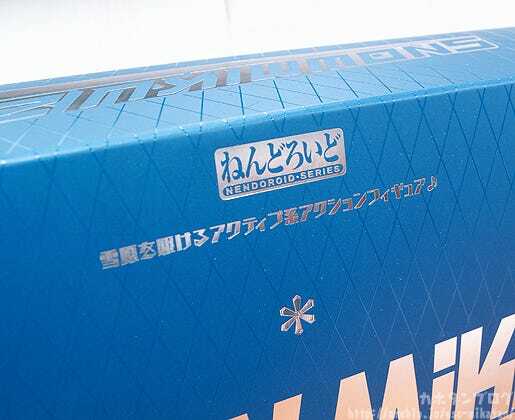 Today I’m going to be taking a look at these two WonFes products! 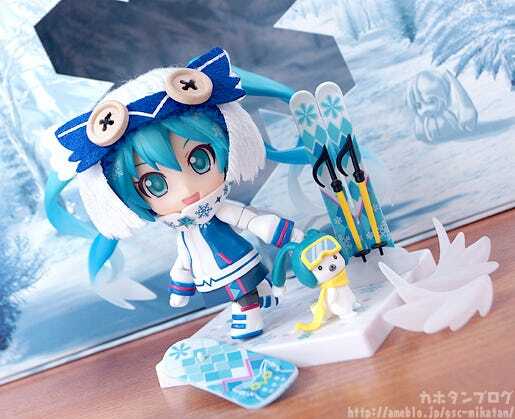 figma Snow Miku: Snow Owl Ver. Both these items will be on sale at Wonder Festival this weekend and will also be available for order from the GOODSMILE ONLINE SHOP for a limited time from the 7th February at 16:00JST! ⇒ For more details about web orders please see this page! 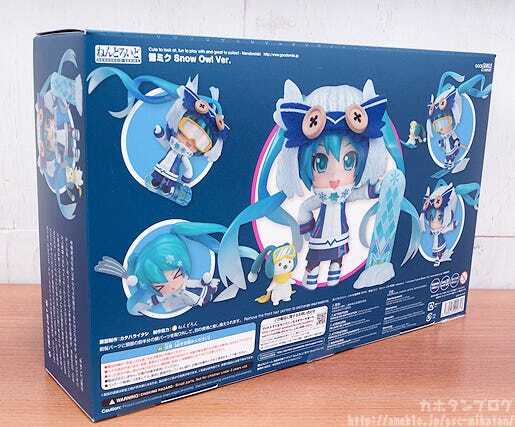 Snow Miku has reached its 7th anniversary this year, and once again this year’s design from piapro was decided by fans during a NicoNico Live Broadcast, and has been transformed into a Nendoroid! The theme this year was ‘Winter Sports’, and the winning design was this active, playful design illustrated by Kotatsu Otogi! 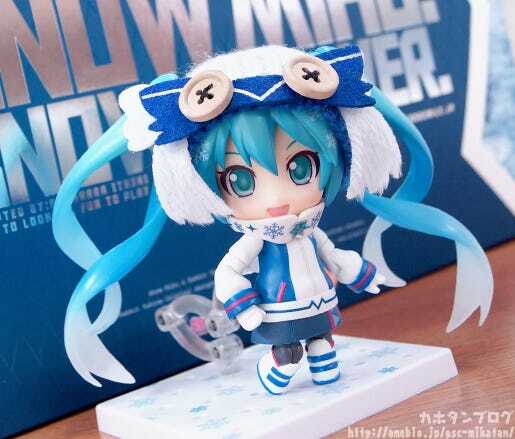 The Nendoroid includes three expressions including an energetic smiling expression, a playful giggling expression and a chibi expression with tightly shut eyes. 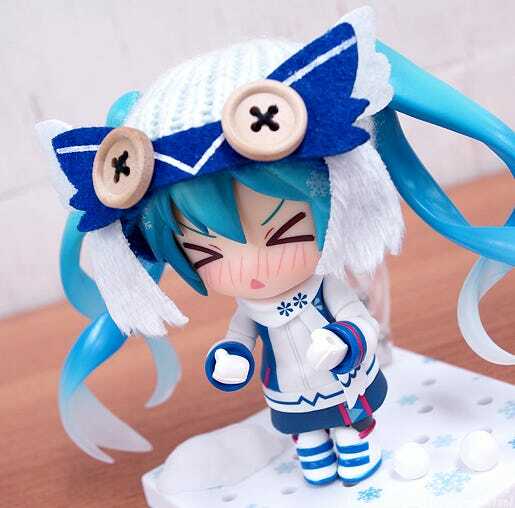 The knitted hat made in the image of an owl has been included with the figure as an actual Nendoroid-size knitted hat. 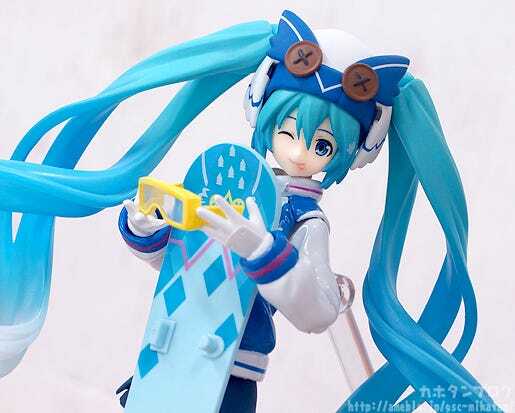 She also comes with a variety of sporty goods including a snowboard, skis with ski poles and goggles! 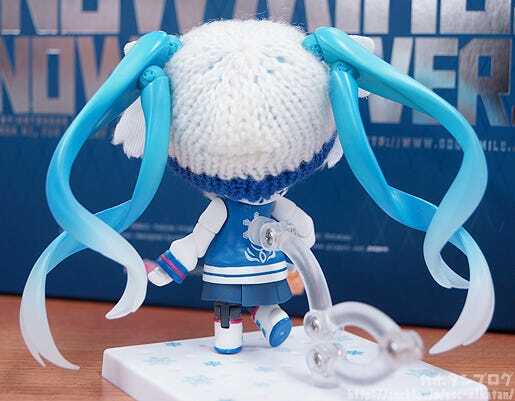 A scarf as well as snowball fight parts are also included to ensure that Miku has a great time in the snow! 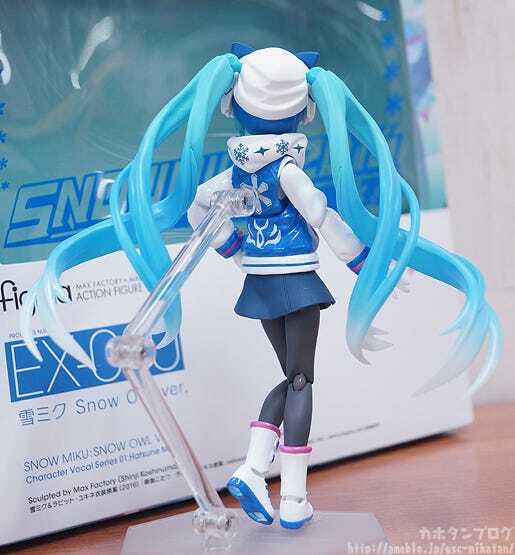 An alternate body part connected to the skis is also included to display her in action, and a special snowy white base with blue snowflakes is also included to bring out the Winter atmosphere! 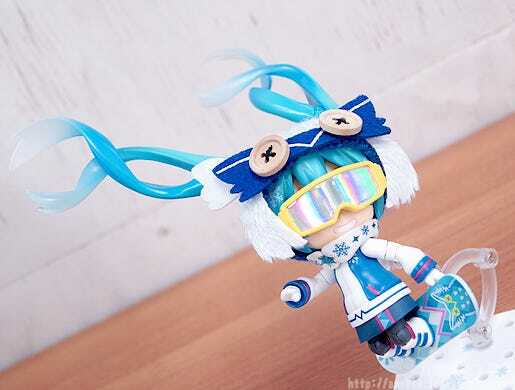 Rabbit Yukine is included once again with his very own pair of goggles and a cute rabbit-eared hat! 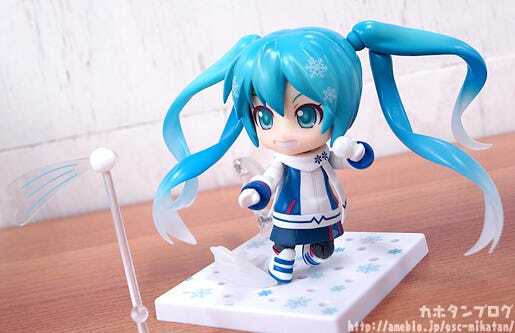 Be sure to add her to your collection and enjoy playing in the Winter with this year’s Snow Miku! 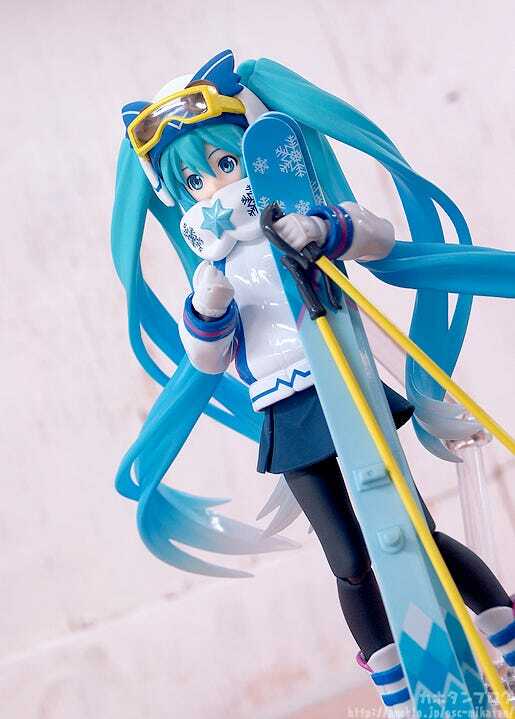 Snow Miku is ready to play until the ski slopes melt away! 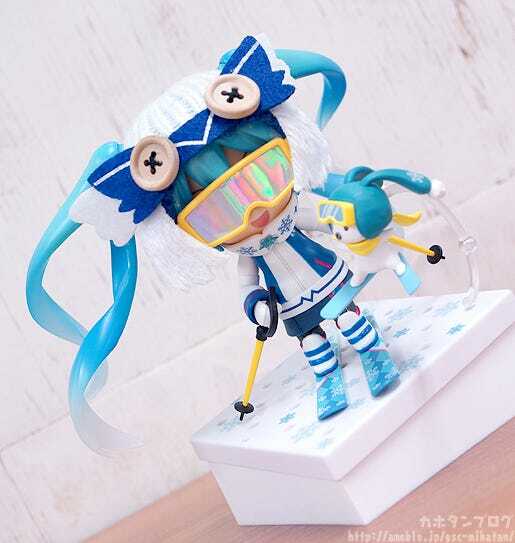 △The twintails are fitted with Nendoroid joints for all sorts of posing options! This is how the box looks! 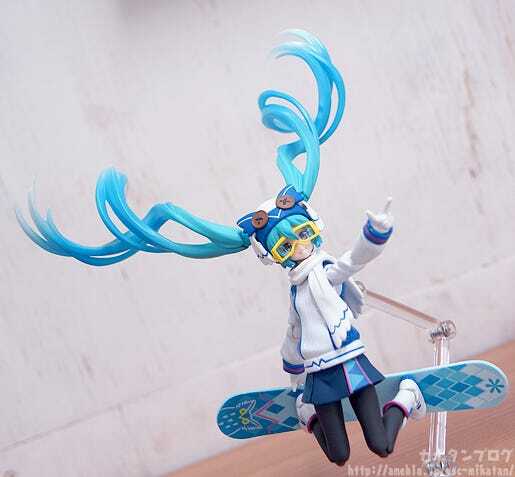 All sorts of poses of Snow Miku enjoying an active Winter! 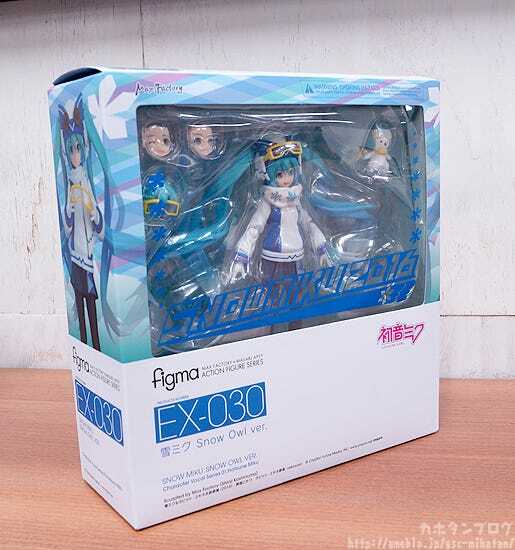 The text on the top of the box here reads ‘An action figure ready to take to the snowscape’! Another part of the figure that has to be noted of of course the knitted hat! △ The buttons on the hat are made with natural wood! As the hats are handmade please note that each is slightly different though! 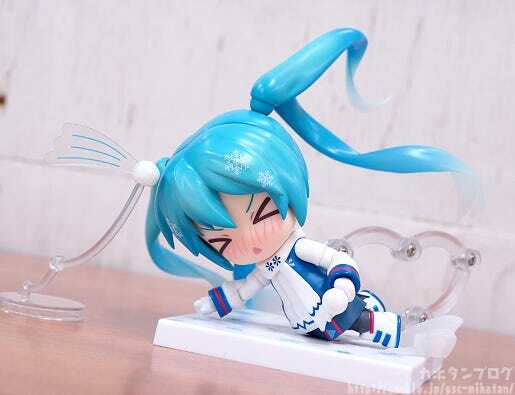 This time Miku has joints in her elbows and knees for more active poses! 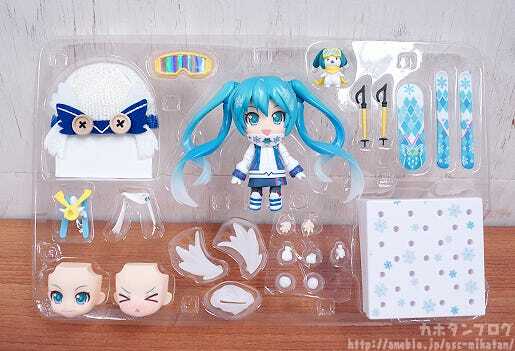 She also comes with various items for dynamic action scenes! The shiny ski goggles attach to the inside of the front hair parts! She comes with a special oblique base made in the image of a ski slope! 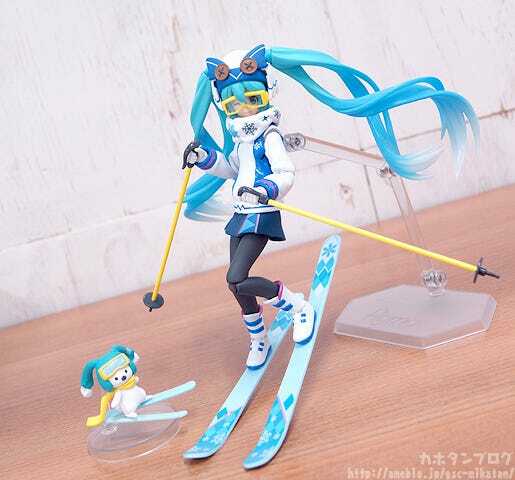 This makes her skiing poses even more convincing! 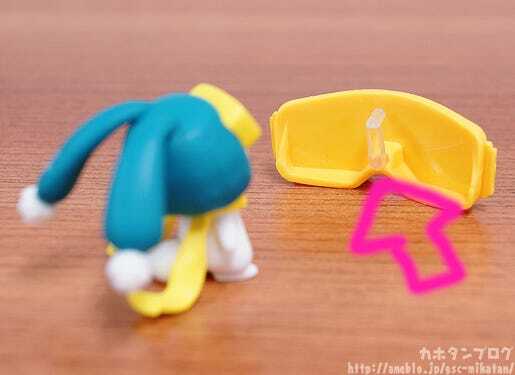 △ The included snow parts also have space to insert the skis and ski poles! 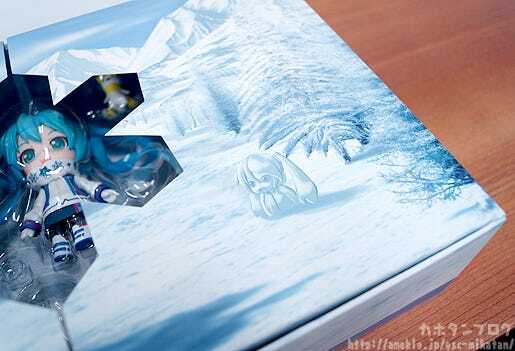 The snowboard can also be placed in the snow parts above! 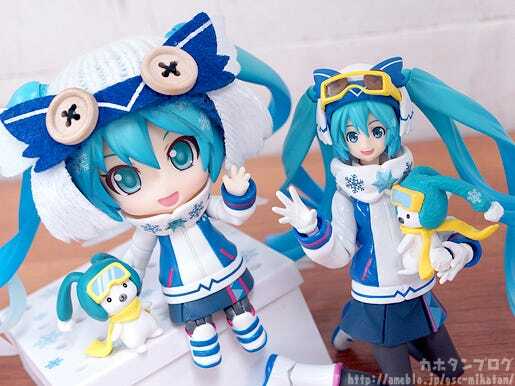 She also comes with a special left hand that allows her to cold the snowball! Plus this grinning expression is perfect for a snowball fight! A little effect part to display the snowball flying through the air is also included!! 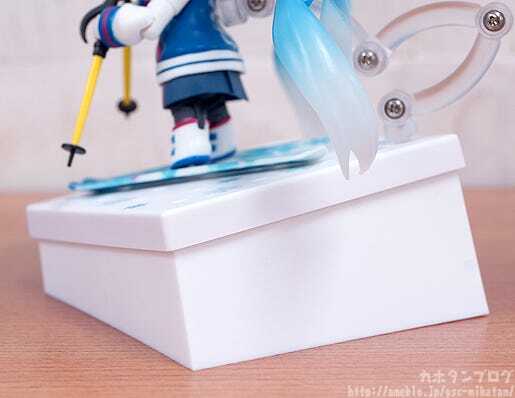 An icy effect part by her feet is also included, and can used for all sorts of different things! The fact that the expression is blushing also makes it quite easy to use in other situations as well! 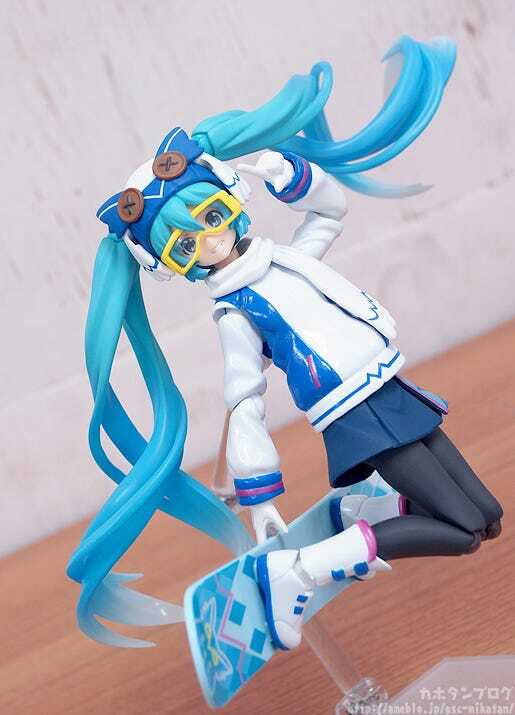 After sales at WonFes, she will be on sale at the GOODSMILE ONLINE SHOP from the 7th February at 16:00JST! ⇒　More details available on this page! 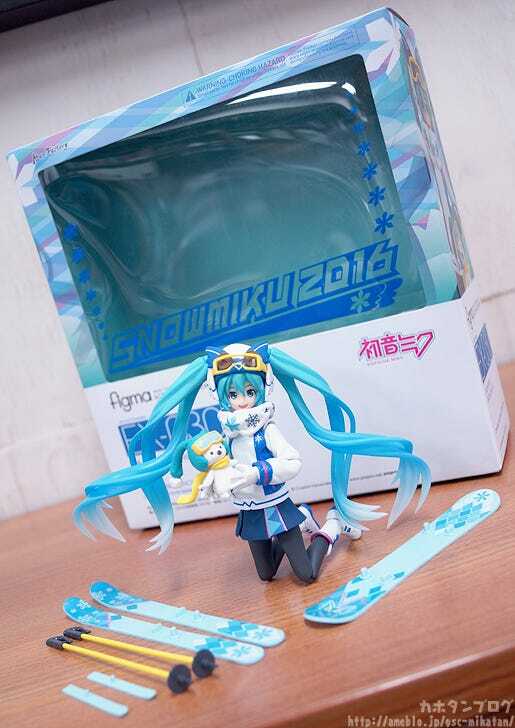 Snow Miku has reached its 7th anniversary this year, and once again this year’s design from piapro was decided by fans during a NicoNico Live Broadcast! 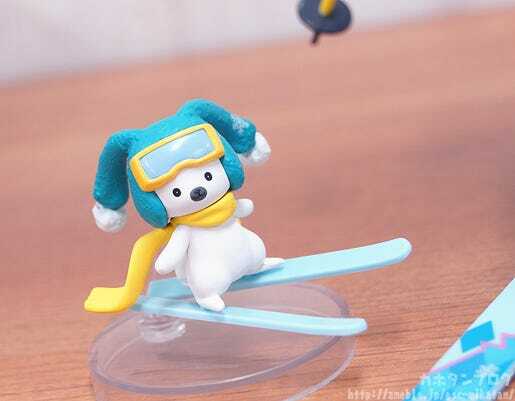 The theme for this year was ‘Winter Sports’, and the winning design was this cute and energetic design illustrated by Kotatsu Otogi, which has now been transformed into a figma! Rabbit Yukine is also of course included with her! She comes with three expressions including an energetic smiling face, a playful expression as well as a cute winking expression! 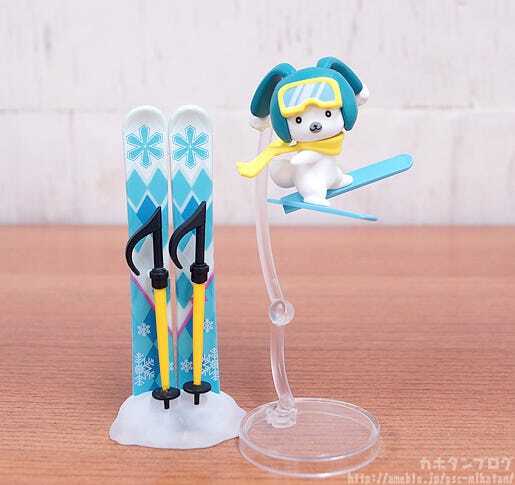 Skis with ski pokes made in the image of musical notes, as well as a snowboard and skis for Rabbit Yukine are all included. 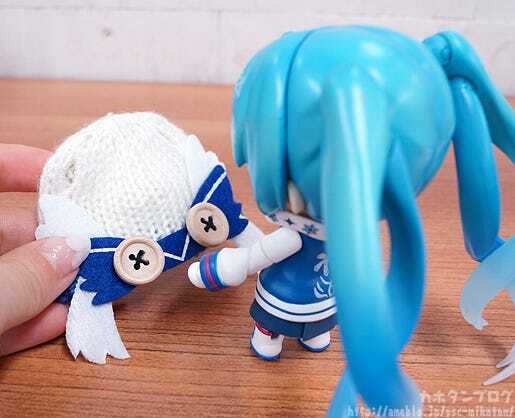 Her neck warmer and scarf can both be attached and removed as you see fit, to match various different situations. 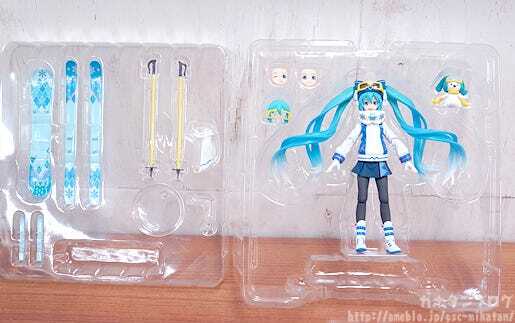 △ The spiralling twintails made with translucent parts are so beautiful! The packaging is separated into two layers like this! Even Rabbit Yukine’s hat looks rather warm and fuzzy! 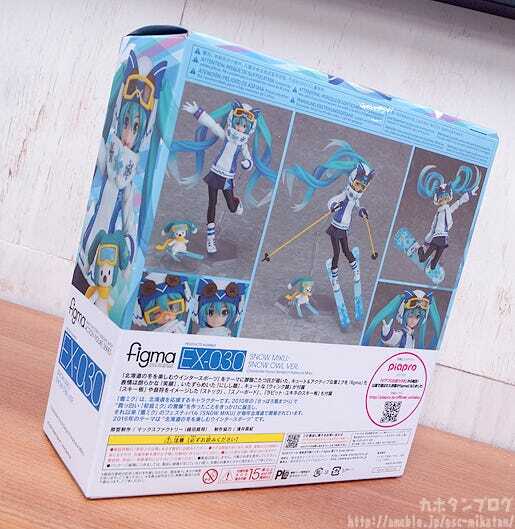 but the figma version is a little more slimmed down! The joints of the figma allow for some awesome jump poses! 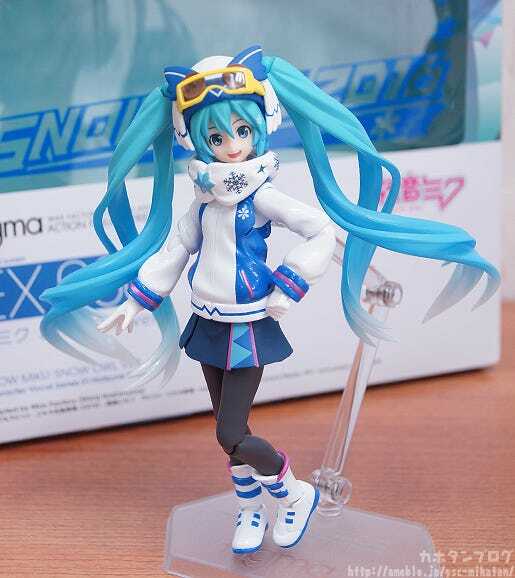 figma Miku Snow Owl Ver.